It’s hard to believe we’re already over halfway through the summer swim season. 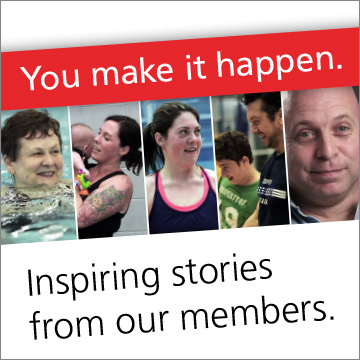 However, what isn’t hard to believe, is the big splash the Canada Games Centre Swim Academy (CGCSA) is making in the pools! 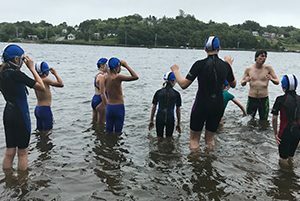 The Summer Swim Team has competed in three swim meets so far; one in Windsor, another in Bridgewater and the latest in Halifax at the Waeg. The results have been outstanding, as swimmers set new CGCSA records and qualified for the upcoming Provincial competitions! 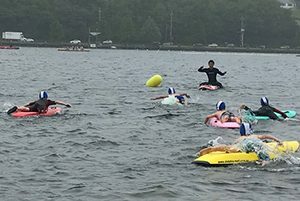 The CGCSA Lifesaving Team took to the water on Thursday, July 12th and Saturday, July 21st to participate in the Junior Guard Games at Rainbow Haven Beach and Birch Cove. 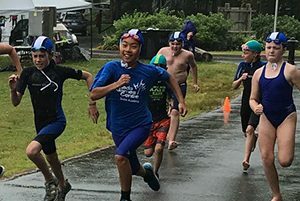 With a great team turnout, the kids participated in the following events – 90m Beach Sprint, 90m Beach Run, 50m Tube Swim, 200m Board Race, 100m Wading Relay and 100m Wading Race. CGC Swim Academy Head Coach Lauren Ching was delighted to share that we had placed 1st, 2nd and 3rd in many of the events. Click here for the full results! 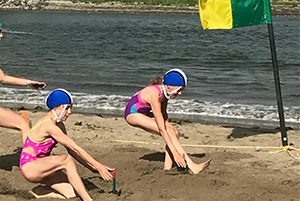 Also, a big shout-out to CGC Aquatics staff – Olivier Blais, Jason Cross, Scott Day and Sam Julien – for their 1st place finish in Round 1 at Rainbow Haven Beach and a 2nd place finish in Round 2 at Point Michaud (Men’s and Combined Team scores) in the Lifesaving Sport Summer Series. Congratulations!